Animal behaviour treatment is a growing component in today's veterinary practice. This is an authoritative, scientifically-based reference on preventing, diagnosing and successfully treating behaviour cases. Every kind of problem, from aggressive behaviour to self-mutilation is discussed. It offers step-by-step guidelines, so practitioners can successfully manage behavioural problems from the first indication. 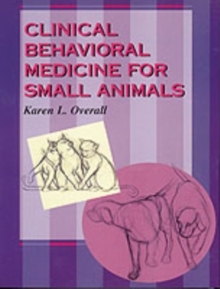 * A practical guide to preventing, diagnosing, and treating small animal behavior cases. * Covers every class of problem--from the most common to those rarely seen. * Emphasizes evaluation and step-by-step diagnosis of normal versus abnormal behavior. * Provides easy-to-use client instruction protocols you can photocopy. * Focuses on ways to deal with animal behavior so the incidence of euthanasia can be reduced. 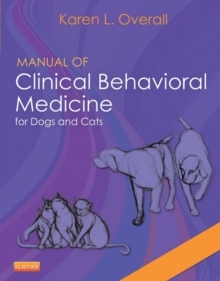 * Covers legal obligations and problems resulting from pet's behavior.